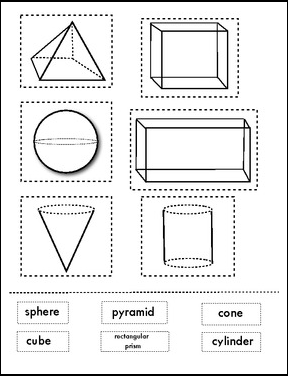 I use this activity after the students have learned about 3D shapes. The students color, cut and glue the shapes to the match the word. 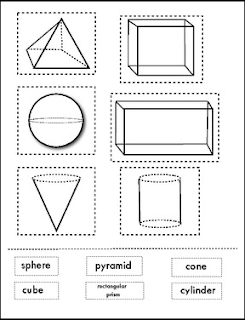 The students glue these shapes in their math journals.